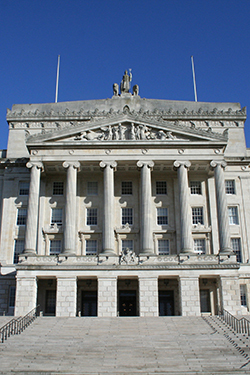 The Committee for the Environment at the Northern Ireland Assembly, requested written submissions from interested organisations and individuals, notices in the local press and contacting stakeholders directly, regarding the Road Traffic (Amendment) Bill with the deadline of 21st August. We at Right To Ride submitted our response to this call. Extending requirements to wear protective headgear; and for connected purposes. Quad bike users to wear helmets while on a public road. Some of our previous concerns about the Graduated Learner Driving Scheme specific to learner riders were that they should not be included in proposals for a mandatory minimum learning period of 12 months for provisional licence holders or for new riders who have passed their test up to the age of 24 who would not be allowed to carry young passengers. Learner riders already face CBT (Compulsory Basic Training) and a strict driving licence category structure as regarding age limits, engine size, power restrictions and re-testing between these categories. Therefore our submission to the Road Traffic (Amendment Bill) focuses mainly on the effect that the bill, if introduced in its present form, would have directly on motorcyclists and where we consider necessary, the impact to motorcyclists in relation to other vehicles or their drivers. Our main response would be that the Graduated Learner Driving Scheme for learner drivers is not rigorous enough. 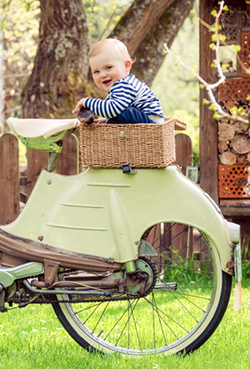 Younger drivers who do not face the same restrictions on vehicle size, power, licence categories and time periods between these categories leading to extra testing which young riders face. The 3rd European Driving Licence as introduced allows that instead of testing between motorcycle categories, riders can complete 7 hours maximum approved training which could use a log book system of assessment rather than repeated testing. This in our opinion would offer a greater benefit in improving young riders ‘skills and attitudes than simply relying on the validation of standards provided by a practical test of skills between categories. We also commented on the prescribed limit of alcohol for drink driving offences and the proposal to make the wearing of protective helmets on quadricycles mandatory. There should be one level of a prescribed limit of alcohol for drink driving offences. We believe that the relevant approved programme of training using a log book, when formulated should have included particular mention of all vulnerable road users including motorcyclists. This is especially relevant for motorcyclists concerning right of way violations by other vehicles at – Junctions – When Turning Right – When Emerging On to Main Roads – When Overtaking – When Changing Lanes for example. “Graduated Driving Licence Scheme” the view in the motorcycling community is that the scheme is still not rigorous enough. This would be especially targeted towards younger drivers who do not face the same restrictions on vehicle size, power, licence categories and time periods between these categories leading to extra testing. We are of the opinion that because of the rigours of the training required for riders, the repeated testing, the fact that a rider as a learner has already completed a training syllabus and log book through CBT that they should only be required to complete a log book once during their progression through the test categories. We have concerns that accompanying the bill and within Road Traffic (Amendment) Bill Explanatory and Financial Memorandum there is no reference to the cost for learners regarding the application of log books nor is there any explanation of the content and operation of the log book. We have concerns not just for motorcycles, that these log books can be “signed” of not by qualified instructors but by “lay people” and family members of learner drivers and riders. 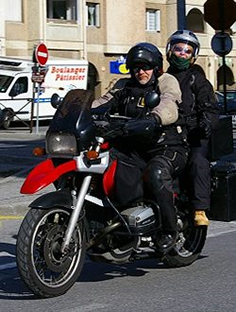 A special concern would be that younger and newer riders in the category A1 motorcycles, who need the best training and assessment of their skills in these informative years, can have their log book signed off by a qualified driver. Thus regarding the aspect of the content of the approved programme for the log book, our opinion is that the bill should be delayed until these requirements are made clear. However the 3rd European Driving Licence as introduced allows the option of testing between motorcycle categories, thus riders can complete 7 hours maximum approved training. This could be extended by the trainer (AMI) or reduced depending on the skills of the person being assessed. This would mean that a log book and system similar to the modules in the CBT could be used to actually assess a riders skills and just not another test which repeats itself through a rider’s learner career towards access to a larger bike. A test that tries to fit riders into a one size fits all testing regime. This could in our opinion offer greater benefits in improving young riders ‘skills and attitudes than simply relying on the validation of standards provided by a practical test of skills between categories. Regarding the bills proposal to make protective helmets on quadricycles mandatory we do not believe that this requirement for responsible adults is necessary. To find out how we reached our final opinions and conclusions you will need to read through our eight page submission. With the Committee for the Environment’s public call for evidence now closed, the committee will consider the submissions and plans to invite respondents to take part in a stakeholder event so that the committee members have a wider opportunity to explore the views expressed and bring its concerns to the Department For the Environment (DOE) for its response. The Committee Stage of the bill has now been extended to March 2015 which allows ample time for the bill to be scrutinised rigorously before going through the final legislative stages which will see further scrutiny in the Northern Ireland Assembly. 27th May 2014 – Environment Minister Mark H Durkan rejected a claim that his Road Traffic Bill included some “idiotic nonsense”. 27th May 2014 – DUP’s Sammy Wilson continued to criticise the Road Traffic Bill, saying it “eats away at basic freedoms”.